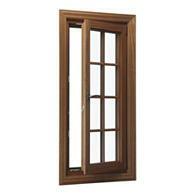 The French casement window has two sashes that crank out for twice the ventilation and an unobstructed view. 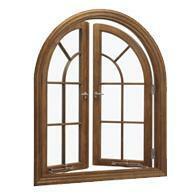 Features Pella's fold-away casement cranks that wont get in the way of room side window treatments. And one easy-to-reach handle on the sill locks both sashes securely. 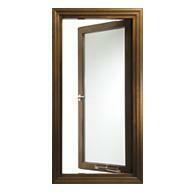 The push out casement window opens easily with just the turn of a handle and a gentle push. Its shown in the Traditional style, with a wide wood sash frame and historical stay that holds the window open as wide as you want. 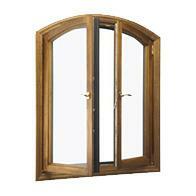 Or choose the Contemporary version, with a narrower frame to complement other windows in your home. 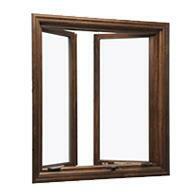 The in-swing casement window opens into your room, instead of out. Simply turn the handle and pull. 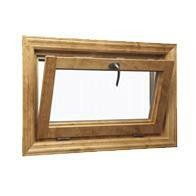 It's ideal for places where a swing-out sash would get in the way, such as above a flower box or next to a walkway.